Djerba, the largest island of North Africa, is a popular Tunisian tourist destination due to its beautiful palm tree fringed beaches, dramatic sunsets and also as the location for the first Star Wars movie in Ajim. For the romantics amongst us, Djerba was the island of lotus eaters encountered by Ulysses and his men on their 10 year Mediterranean journey. Djerba is one of the few remaining places where Berber is still spoken. Although much older, it was most densely inhabited during the Roman and Byzantine periods. Then Spanish and Ottoman conquerors and eventually the French took over. 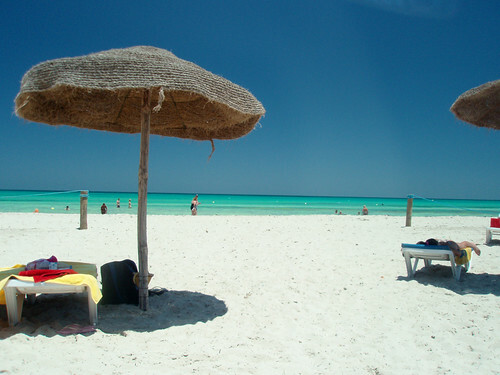 Djerba is ringed by miles of fine sandy beaches interrupted by ultra modern or traditional “menzel” hotels. On offer are a variety of sea sports, sailing, fortress like mosques, even a pirate castle. The interior is rich with beautiful shady gardens, orchards (apple, fig or pomegranate) and olive groves. The clement Winter weather, very pleasant Spring and Autumn and warm Summer, make Djerba a year-round destination. The island is relatively flat, making it a haven for cycling. 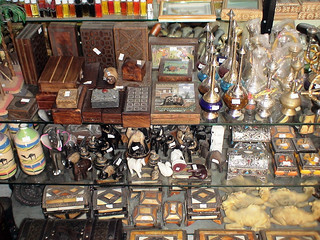 Places to visit include the Guellala art museum with its lovely collection of fine pottery and round observation tower (perfect for viewing the sunset), the Houmt Souk Flea/street market and El Ghriba Synagogue in the former Jewish village of Harah Sghira, the most ancient Jewish community in Tunisia dating back to 586 BCE. In Mahdia, the Borj el-Kebi (Big Fortress, also known as Borj Ghazi Mustapha) dates back to 1595 and was previously occupied by Berbers, Jews, Sicilians, Spaniards and Turks. It’s quite impressive, not least for its plaque showing the location of a tower built from 5000 Spanish skulls. The nearby Fatimid port is an interesting coastal walk with remains of ancient fortifications. 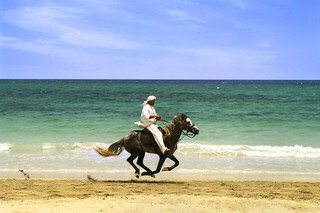 The Royal Carriage equestrian club overlooking the flamingo island bay offers an open-air lunging ring, international dressage, jumping arena and excursions on horseback, camel or traditional Djerbian horse drawn carriages. Three noteworthy folklore events include the August Festival of Ulysses, when imaginary events of the past are enacted and even a Miss Ulysses is elected, the Festival of Midoun when “Gougou” dancers perform to the flamboyant music of tambourines and flutes, and the El Ghriba Passover festival in April. 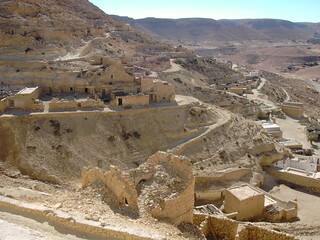 An interesting day trip is Borj Djillidj, on the road leading to Ajim. This is a peaceful little port with a lighthouse and a great place to watch the return of traditional octopus fishermen during sunset.